In a bid to make extra cash to buy a bicycle, nine-year old Sam decides to start up a lemonade stand. He goes to his older brother’s weekly rugby match and sets up. Sam sells his homemade lemonade for R8 a glass. It’s a hot day, and soon there is a long line of customers waiting at his table. Sam has prepared several litres of juice and bought a big stack of polystyrene cups. He prepares each person’s drink within a matter of seconds. But the counting of people’s change is slowing him down. First of all, he didn’t think to organize a float, so he keeps running out of change. Then, the maths is a little tricky. Some people offer the right amount of change, some bring R20 notes, others R50 rand, and others have nothing smaller than R100. As the wait in the line grows longer and longer, customers slowly lose interest and walk over to the hotdog stand to buy a sprite instead. At the end of the day Sam looks at his profit and realizes he needs to change something. The next Saturday he enlists the help of his father, who brings a well-stocked float, and quickly and accurately counts out change. The customers keep coming, and at the end of the day Sam has tripled his profits from the previous week. He gives his dad 20% of the days’ bidding and keeps the extra money. The dream of a bike is looking more and like a reality! As in the case of Sam’s Lemonade, sometimes outsourcing financial management is the most natural thing in the world. If Sam had been older, quicker with numbers and perhaps seen as more trustworthy by his customers, this might not have been the case. But in the given circumstances, by outsourcing financial management, Sam’s business thrived, his turnover increased and at the end of the day he took home more profit. 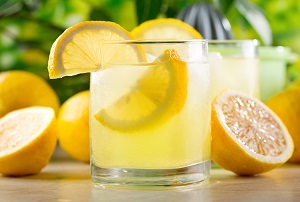 So how can you tell whether your business needs to do a Sam’s Lemonade and consider outsourcing financial management? Consider outsourcing financial management if you own an SMME and are not a finance expert. You’re entrepreneur. You specialize in ideas, pitching sales and putting systems in place. You don’t specialize in accounting. So spend your time selling lemonade, not counting money. Get a “Sam’s dad” to do that. Yes, it will mean paying them a salary, but if that translates into giving you more time to sell and make your company excel, then isn’t that worth it? Consider outsourcing financial management if you don’t have enough work to warrant having a full time financial manager. Every business deserves and needs the strategic insight offered by a senior finance person. But not every business has enough work to warrant this help full time. If you only need help a few days or hours a week, outsourcing financial management means that you can get strategic financial oversight without footing a hefty full time salary. Consider outsourcing financial management if your company requires specialist financial insight. Do you have complicated tax requirements? Buy and sell in different currencies? Deal with commodities that change price on a daily basis? The amount of time and money it would take to build up in-house expertise to handle these issues efficiently does not make commercial sense. Outsource this to the experts who will be immediately efficient and only bill you for the time they spend on the job and no more. If your business meets any of the criteria above, outsourcing financial management would likely be a smart exercise: one that decreases your stress level and increases your profits. Contact The Finance Team to run a cost analysis and find out more about making this option work for you.